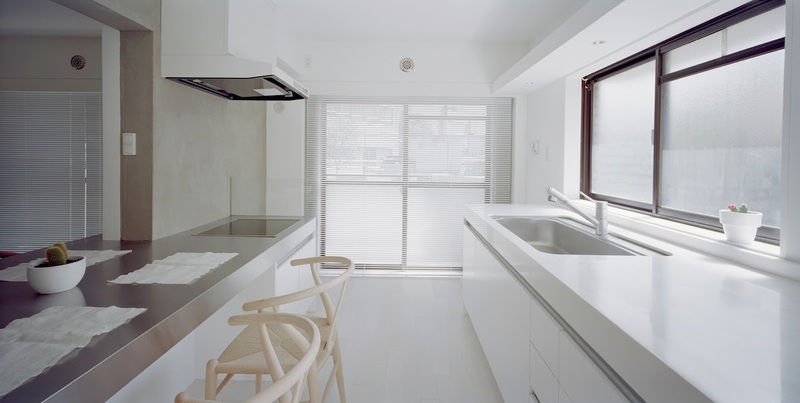 Panda house in Mitaka, Tokyo, Japan is a minimalist apartment designed by Tokyo based Schemata Architects. The family house is a renovation on an existing typical japanese flat built two decades ago, restructured in a new, open layout. This is a renovation project of a family-type room of an apartment that was built 18 years ago. Its plan (with a living room, dining room, kitchen and 3 person rooms) reflects the average family structure in Japan at that time. 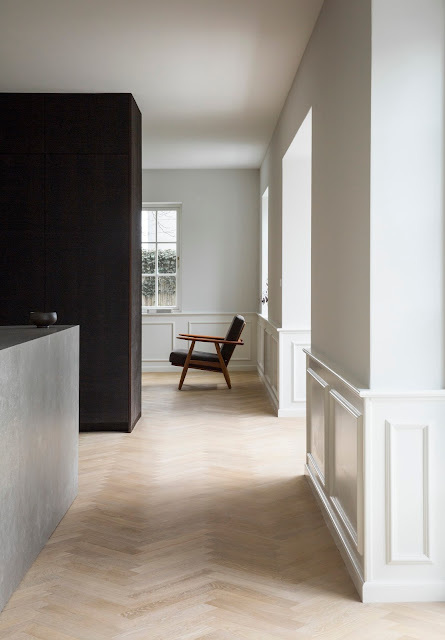 This layout has since become out-of-date and has been largely replaced by the studio-type apartment with more spatial openness, reflecting changes in the make-up of the average family. We strove to reflect this social change in the project. The unchangeable part of the structure of the building appears around the windows, like black patches around a panda’s eyes, by overlaying a contemporary and open layout onto the existing structure of the building.